The Shanghai Maglev Train or Shanghai Transrapid is a magnetic levitation train, or maglev line that operates in Shanghai, China. The line is the first commercially operated high-speed magnetic levitation line in the world. Construction of the line began in 2001 and public commercial service commenced on 1 January 2004. The top operational commercial speed of this train is 431 km/h (268 mph), making it the world’s fastest train in regular commercial service since its opening in April 2004. 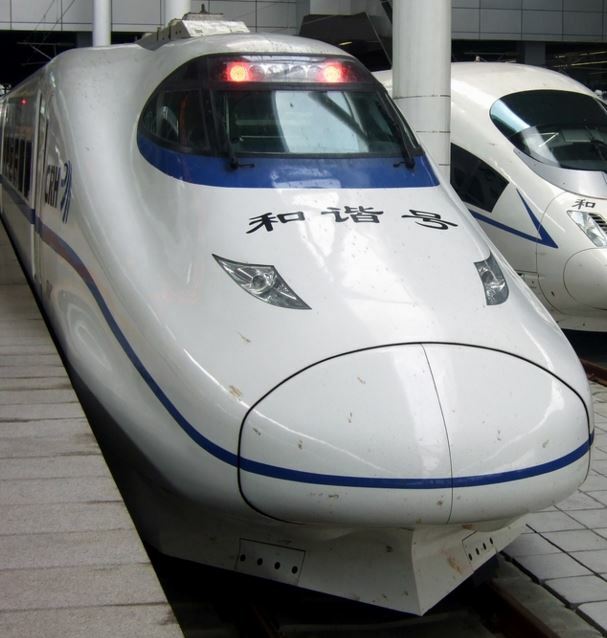 During a non-commercial test run on 12 November 2003, a maglev train achieved a Chinese record speed of 501 km/h (311 mph). The Shanghai Maglev has a length of 153m, a width of 3.7m, a height of 4.2m and a three-class, 574 passenger configuration. The Shanghai Maglev train line was designed to connect Shanghai Pudong International Airport and the outskirts of central Pudong where passengers could interchange to the Shanghai Metro to continue their trip to the city center. It cost $1.2 billion to build. The train set was built by a joint venture of Siemens and ThyssenKrupp in Kassel. The track (guideway) was built by local Chinese companies who, as a result of the alluvial soil conditions of the Pudong area, had to deviate from the original track design of one supporting column every 50 meters to one column every 25 meters, to ensure that the guideway meets the stability and precision criteria. Several thousand concrete piles were driven to depths up to 70 meters to attain stability for the support column foundations. A mile-long, climate controlled facility was built alongside the line’s right of way to manufacture the guideways.